Most natural healing educational programs are random collections of information, often disconnected and difficult to apply. By contrast, the CHC program is based on unique models which create a consistent framework of understanding. So, instead of having to piece together disjointed facts and information, you learn about natural healing in a systematic and logical manner. You can also earn while you learn because you’ll be able to start using this material to help others after completing the very first course. Each subsequent program simply expands on the same core knowledge, deepening your understanding and enhancing your skills so you can work with more serious health challenges. 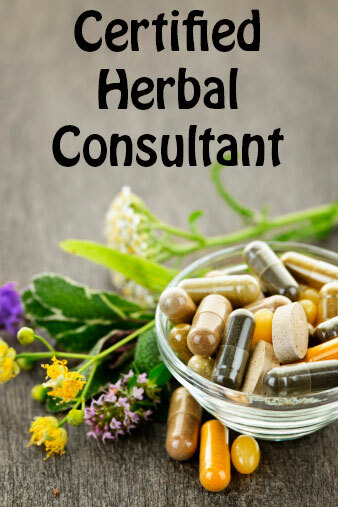 After you’ve proven your mastery of the six core courses and the two specific topic courses, you’ll have what it takes to be a skilled and effective Certified Herbal Consultant. Each course has its own certificate of completion, which you receive after completing the coursework and passing the online quizzes. Upon completing the courses and the mentoring program, you will receive your final certificate as a Certified Herbal Consultant. The following courses are part of the Certified Herbal Consultant program. *Note: You must register for the Health Assessment workshop separately from the online portion of this program because space is limited at the workshops. If our first workshop fills up we will add another one. If you checkout using PayPal, you can use PayPal's financing program to set up a payment program for the course.